Travelers are drawn to the white sand beaches of Hawaii in the name of many fantastic features. Some come to take to the waves while others travel here to make the most of opportunities to snorkel alongside amazing marine life. Some are intrigued by the rich history and past the islands possess while others make their way towards the trails that wind through lush, tropical valleys and mountains. Wherever you go, the islands continuously offer up a nearly magical array of floral patterns and lush foliage that grow in a rainbow of vibrant colors. When you’re here and hoping to immerse yourself and your senses in the brilliance of Hawaii’s natural appeal, be sure to book a garden view our resorts in Honolulu, Waikiki. 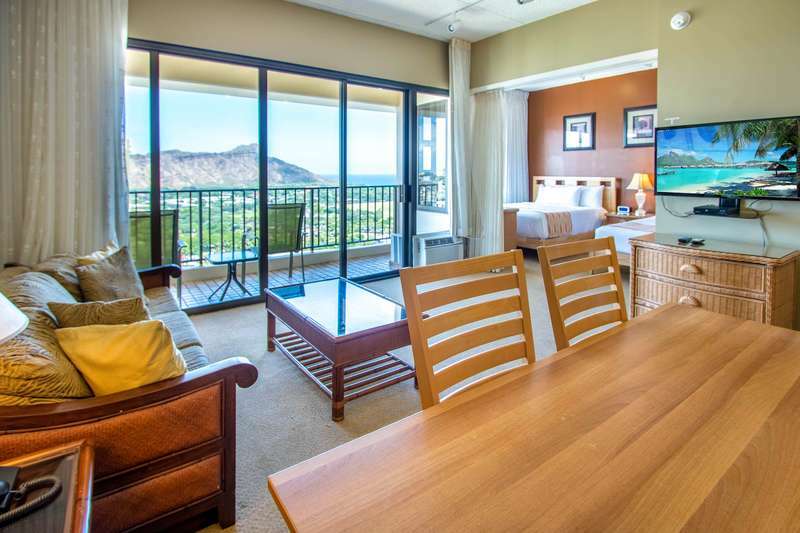 A stay in Hawaii is bound to be a captivating experience, but what could be better than waking up in an extra-comfortable resort rental to a chorus of songbirds and a view of tropical flowers blooming right outside your window? 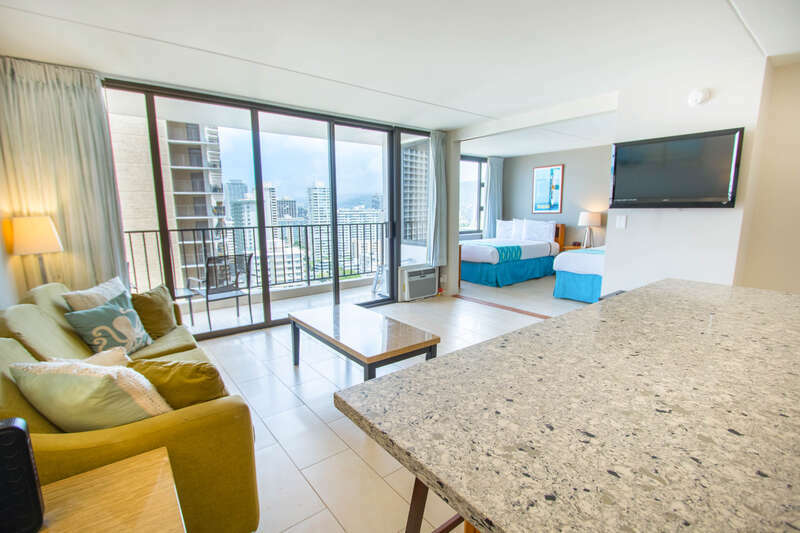 Guests who stay in one of our garden view resorts on Honolulu, Hawaii will enjoy this alongside the added benefit of stylish furnishings that remind one of their very beach-bound surroundings. Large windows keep the view top of mind while a fully-equipped kitchen makes it easy to stay in and cook up something sweet for the entire family. Enjoy the convenience of shelves stocked with utensils and modern, stainless steel appliances as well as durable and beautiful countertops. The Hawaiian Islands are saturated with natural beauty and style and we believe your stay should follow in those same footsteps. 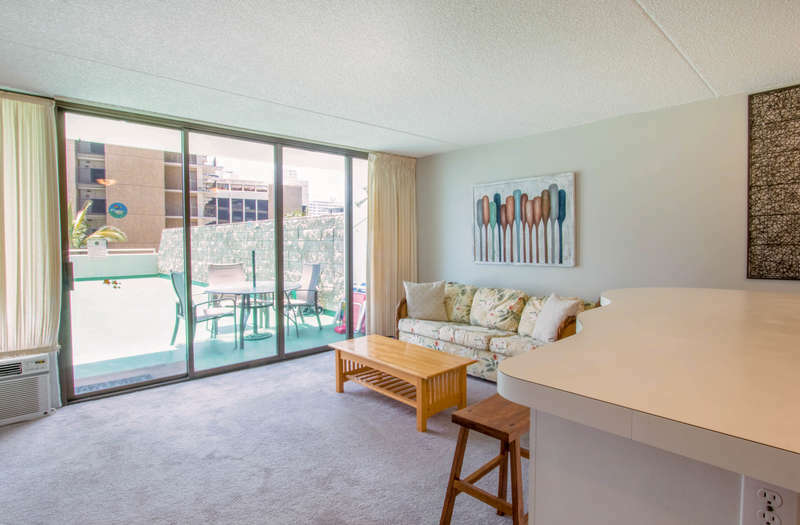 Let us know when you’re in the mood to book our garden view resorts in Honolulu, Waikiki that comes complete with access to BBQ grills for a delicious night in or convenient proximity to pools and tennis courts. Whether you’re looking for sky-high retreat or a sprawling condo floor plan, we’re here to make sure every guest has a customized stay in this tropical paradise. Cascade chasers won’t want to miss a chance to sign up for the Hilo Waterfalls Tour during your visit. This excursion provides opportunities to view some of the island’s most stunning waterfalls while providing time for paddle boarding, hiking, and kayaking in the surrounding area. Be prepared to be enchanted by the power and grace the waterfalls of Hawaii bring to the picture. At Koko Resorts we believe that every guest is like family and we work hard to make your stay comfortable, convenient and as luxurious as you’d like. Come for the view and leave with lifelong memories. Contact us today to begin planning your Hawaiian getaway!